During Breast Cancer Awareness month, USPS reminds customers about the Breast Cancer Research stamp. October is Breast Cancer Awareness Month, and the Postal Service is reminding customers that a special stamp purchase can help fund breast cancer research. 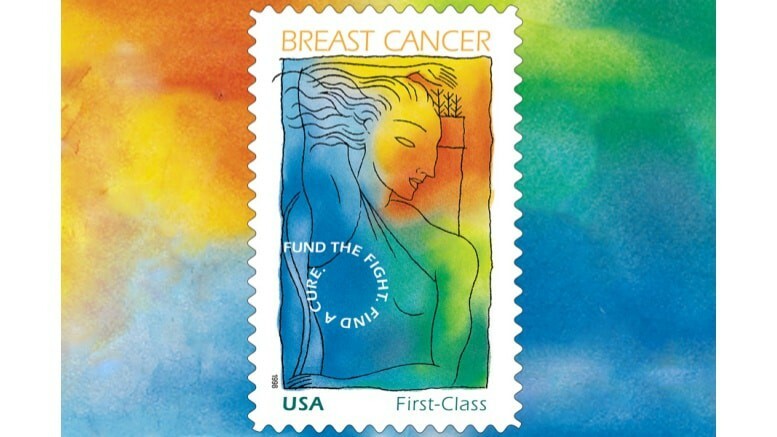 The 60-cent Breast Cancer Research semipostal stamp is available year-round and sold in sheets of 20. Semipostal stamps are sold at a surcharge to raise money for specific causes. More than 1 billion stamps have been sold since the stamp’s 1998 inception, raising more than $83 million. Last year, President Obama extended the stamp’s sale through Dec. 31, 2019. A news release with more information is on the USPS Newsroom site. The stamp is available at Post Offices and usps.com.